Do you have a favorite hiking or biking trail, or maybe a perfect river or climbing crag that provides some serenity or outdoor thrills? That perfect destination could include beautiful waterfalls, breathtaking views, challenging terrain, wild rapids, or merely a nice walk in the woods. As we spend time in our favorite outdoor retreats, we should pause for a moment to think about the people who help build and maintain the trails, clean up the streams, and ensure that places preserve their natural beauty. These volunteers don’t ask for recognition and freely give their spare time and money to make sure that recreation areas remain clean and safe for you and those that follow. In Alabama, many volunteers and organizations are working to maintain recreation areas and create new places to explore. They would appreciate your help, and you can support them by donating some of your own time or making a tax-deductible donation. Here are just a few of the organizations dedicated to protecting your favorite Alabama wild areas. While nonprofit groups build and maintain trails, they serve other efforts as well. “Our mission is to inspire people to enjoy, value and protect the wild character and natural legacy of the South,” says Janice Barrett, Alabama outreach coordinator for Wild South, which has offices in Moulton, Ala., and Asheville, N.C. “Everything we do is based on our mission, including the hiking trail work we do. The volunteers with Wild South’s Helping Hands and Volunteer Wilderness Ranger programs maintain 31 miles in the Sipsey Wilderness, 26 miles in the Cheaha Wilderness, and nine miles of the Pinhoti Trail in the Dugger Mountain Wilderness. On the third Saturday of every month, and sometimes on weekdays, the organization hosts Helping Hands Volunteer workdays in the Sipsey Wilderness. 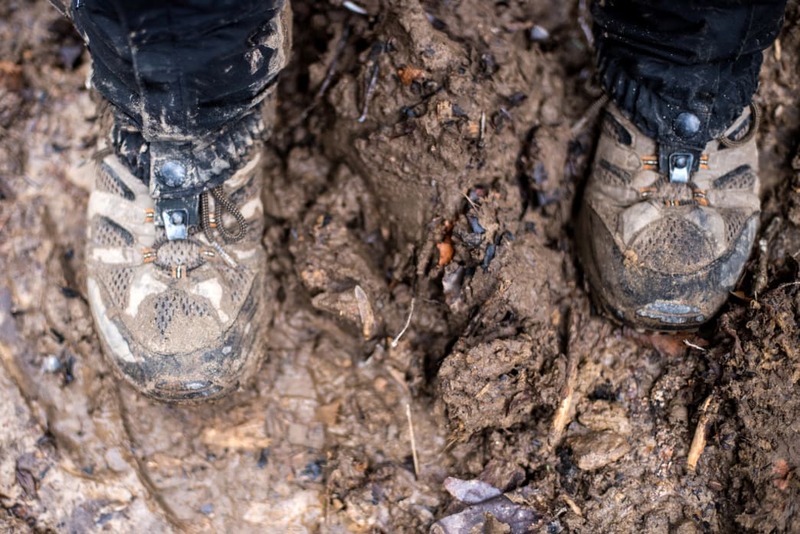 If you decide to volunteer for trail work, you will receive basic on-the-trail training, and you can later sign up for more advanced trail-maintenance training. Visit the Wild South website to get on their mailing list, to volunteer, or to make a donation. Since 2001, the Alabama Hiking Trail Society (AHTS) has been building and maintaining trails throughout the state. Its primary mission is to create the Alabama Trail, a proposed long path that will stretch from the Alabama Gulf Coast to Florence and over to Huntsville, and it’s also working to connect the Appalachian Trail to the Florida Trail to form the Eastern Continental Trail. Since its inception, AHTS has established eight chapters across the state to complete its mission. The most active chapter has been the Gulf Coast Chapter, which built the 20-mile long Perdido River Trail. This represents a significant section of the Alabama Trail in Baldwin County. AHTS President Jeffrey Hayes has taken the organization in a new direction to speed up construction of the trail. “We are not trying to build a footpath from scratch,” he says, noting that AHTS is working with cities, counties and state and federal organizations to establish a “cultural corridor” that celebrates Alabama’s unique natural resources and history. AHTS is also trying to highlight and improve important sites that are unfamiliar to Alabamians and people outside the state. AHTS was instrumental in establishing a contract with Alabama Forestry to rejuvenate Flagg Mountain, the southernmost mountain in the Appalachians. The organization partnered to construct new trails, renovate old CCC cabins, and install a caretaker, hiking legend, M.J. Eberhart (“Nimblewill Nomad”). To learn more, visit the AHTS website. You don’t need to be a member to volunteer, but your membership dollars will help the cause. On any given day, you can find Jimmy Lanier, founder of the Cherokee Ridge Alpine Trail Association (CRATA), and a group of volunteers working one of their many trail projects along the Tallapoosa River at Martin Dam or on the banks of Lake Martin. 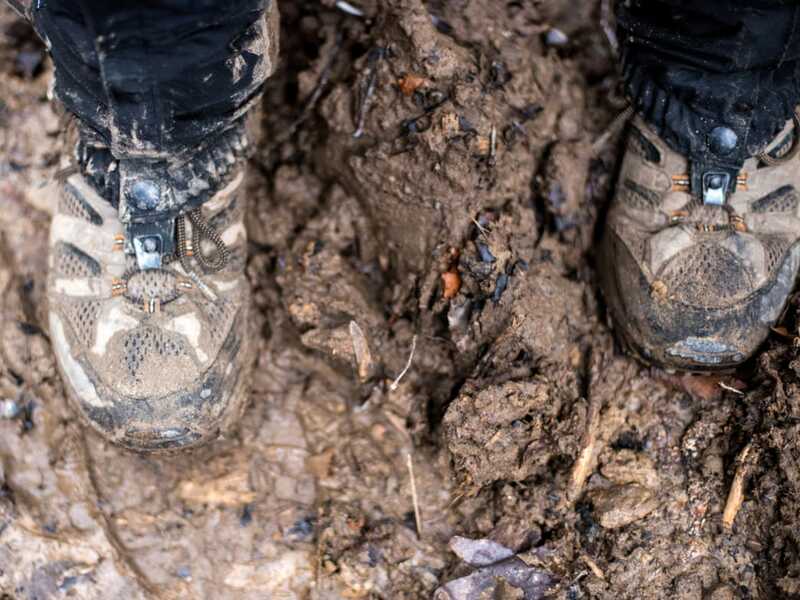 Working in concert with many private and government organizations, such as Alabama’s Forever Wild program and Alabama Power, CRATA has built some truly amazing trails, and their mission is far from complete. It all began in 2004 with the creation of the group’s namesake trail, which runs for 11 miles past rock bluffs and skirts Lake Martin. Since that first trail, the group has expanded to carve out even more incredible scenic hikes like those found on Smith Mountain where the trail ascends stone bluffs to reach the summit. On top of the mountain, you can climb a 50-foot fire tower that CRATA reconstructed and gain a bird’s-eye view of Lake Martin. The group has plans to rebuild the old forest ranger hut that once stood next to the tower to house a museum telling the mountain’s history. Two other trails have been completed along the Tallapoosa River at Martin Dam. The first is the John B. Scott Forever Wild Trail, a 4.7-mile loop that zig-zags over a beautiful spring with fast shoals and small cascades and climbs to the rocky summit of Saddle Rock Mountain. The second is the 6-mile Cherokee Bluff Dam Railroad Trail, which follows a railroad bed built in 1923 to aide in the construction of Martin Dam. To learn more about CRATA’s trail work, or to volunteer or make a donation, visit the organization’s website. If you’ve hiked the trails of Lake Guntersville State Park, Ruffner Mountain Nature Preserve, or the Turkey Creek Nature Preserve, then you’ve used paths maintained by the Vulcan Trail Association (VTA). Formed in 1977, VTA is the oldest trail group in the state. Like many other trail groups, VTA organizes hikes, but it also hosts biking and paddling events. Additionally, VTA assists in search-and-rescue operations on trails and waterways in the Birmingham area. VTA holds meetings the third Wednesday of each month at the Hoover Public Library. Visit the Vulcan Trail Association website for more information. The Pinhoti Trail Alliance (PTA) is a confederation of several hiking and trail-building groups that work to maintain the 337-mile Pinhoti Trail, which begins in Alabama and continues in Georgia to connect to the Appalachian Trail. The task of maintaining the Alabama portion of the trail falls on the shoulders of the Alabama Hiking Trail Society, the Alabama Trails Association, the Appalachian Trail Club of Alabama and the Vulcan Trail Association. While they are separate organizations, the volunteers within each group are united and dedicated to making the state’s premier long path a prime hiking destination. Visit the PTA website to learn more about the trail and ways to support it. These five organizations are just a small representation of the many groups working to create and conserve recreation areas in Alabama. No matter what type of activities you love, you can find groups that need your support, from Alabama chapters of the Southern Off-Road Bicycle Association to the Alabama Rivers Alliance to the Southeastern Climbers Coalition. As you’re planning your adventures for the coming year, think about lending some muscle or money to the people who share your passion for the outdoors.